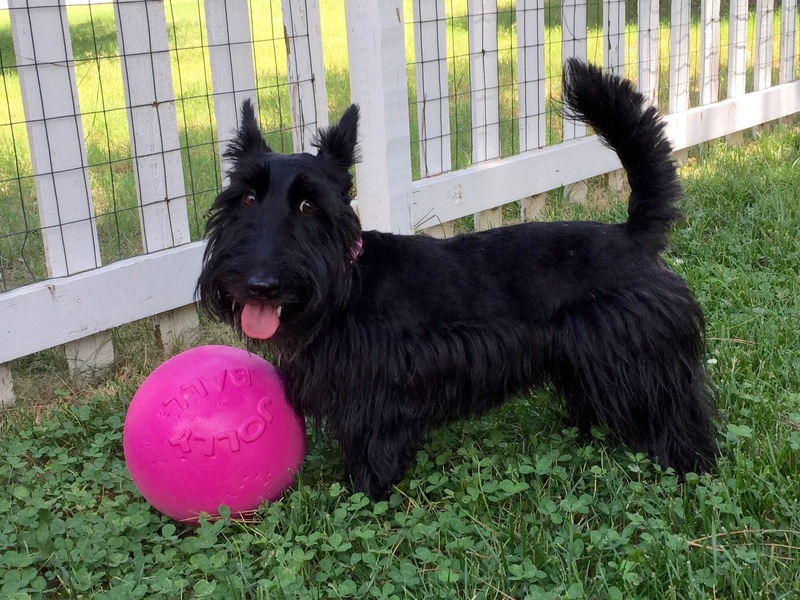 Mom receives a lot of questions on how to photograph black Scotties. First of all, her only camera is an IPhone. Right now, she is using a 6+ but she is seriously considering going to the 6 when the next phone comes out because the 6+ is just too unwieldy in one hand. The SRL cameras are wonderful but for pictures of daily living, they are just not feasible. Mom said by the time she sets up the shot with one of those, the moment is lost. 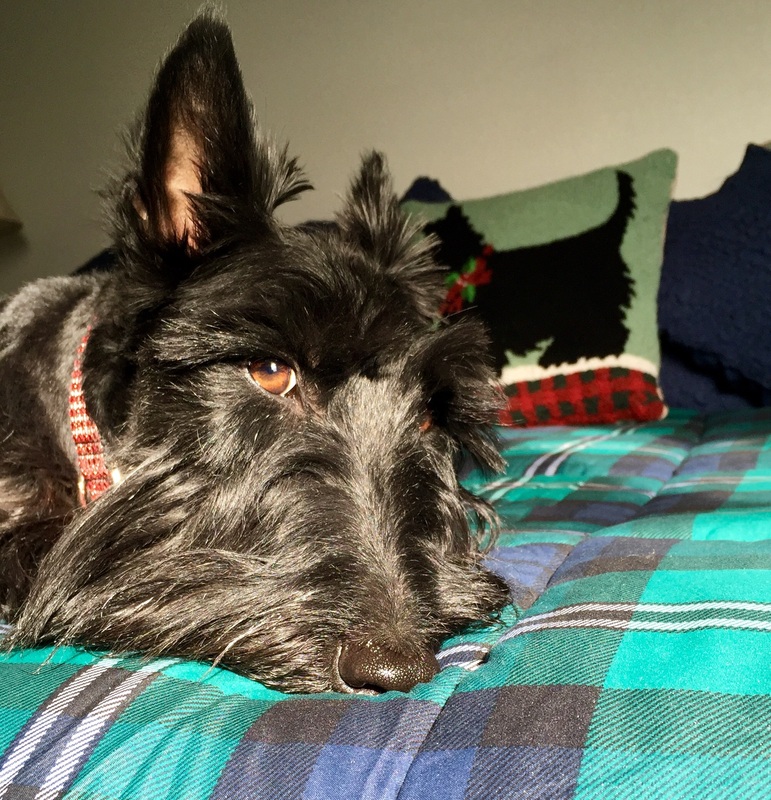 Of course with black Scotties it is all about the eye. 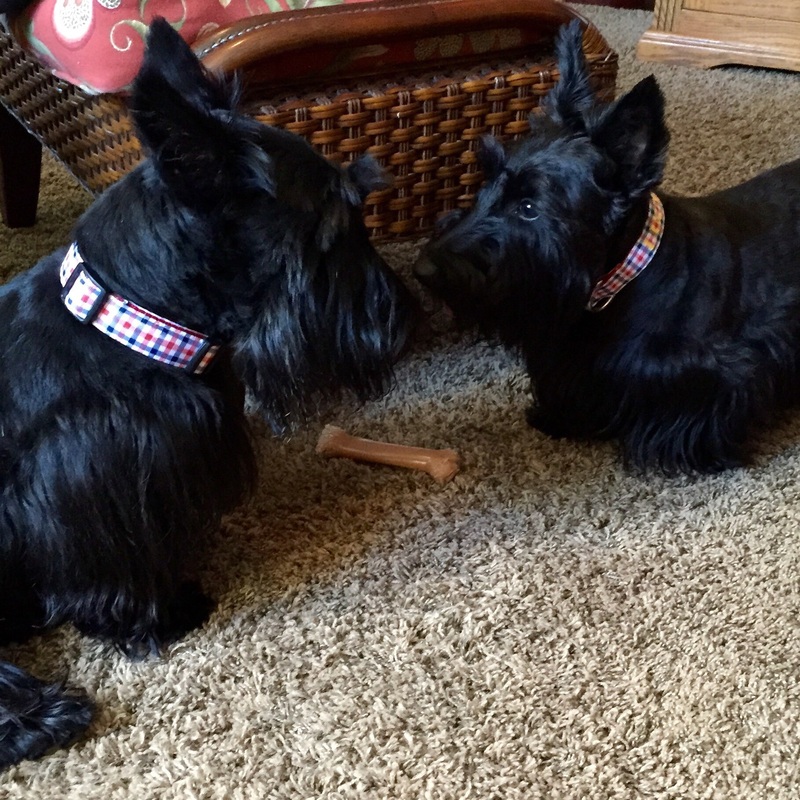 Unless you can see the eye, the Scottie would look (as some people have described their pics ) like a lump of coal. Our house has a lot of natural light which is fantastic for photographing our faces. This picture was taken with the sun is shining in a southern window lighting my face. On the IPhone 6+, when you touch the photo screen, you can see a square with a sun to the right. You can move that sun up and down to adjust the light. Mom doesn’t use it often but she has on occasion; she never uses a flash. After you have taken a photo, at the bottom there is an edit, click that. You have four symbols. The first is crop and Mom is a BIG fan of the crop. The 3 circles are filters; she never uses those. There are many photo apps that are much more fun. The third symbol looks kind of like a clock. If you click it, you will see the word light. Click light and you can adjust your picture. Especially useful is the shadows where you can slide a bar illuminating them. This is terrific with Scottie faces but be careful because it adjusts the whole picture and can wash it out. There are many photo editor apps. For our daily posts on our FB page and this blog , Mom just uses her phone; it is quick and easy. Sounds to us like the cooking thing, not too many steps. All the lighting tips above work outside too. Mom prefers early am pics or evening. She tries to get the sun behind her.